A valid, signed US passport. The passport must have at least 6 months remaining after the completion of your stay in Cuba. 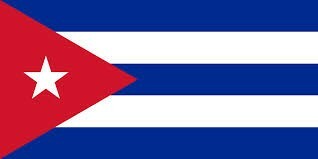 The Cuban assets control regulations of the U.S. Treasury Department require that persons subject to U.S. jurisdiction have a license to engage in any transactions related to travel to, from and within Cuba. Transactions related to tourist and business travel are not licensable. This restriction includes tourist or business travel from or through third countries such as Mexico, Canada, or Caribbean countries.OFAC web site (Office of Cuban Assets Control). Additional information regarding licensing and travel restrictions may be obtained by contacting the Licensing Division, Office of Foreign Assets Control, U.S. Department of Treasury, 1500 Pennsylvania Ave. N.W., Treasury Annex, Washington DC 20220; telephone (202)622-2480; fax (202)622-1657.